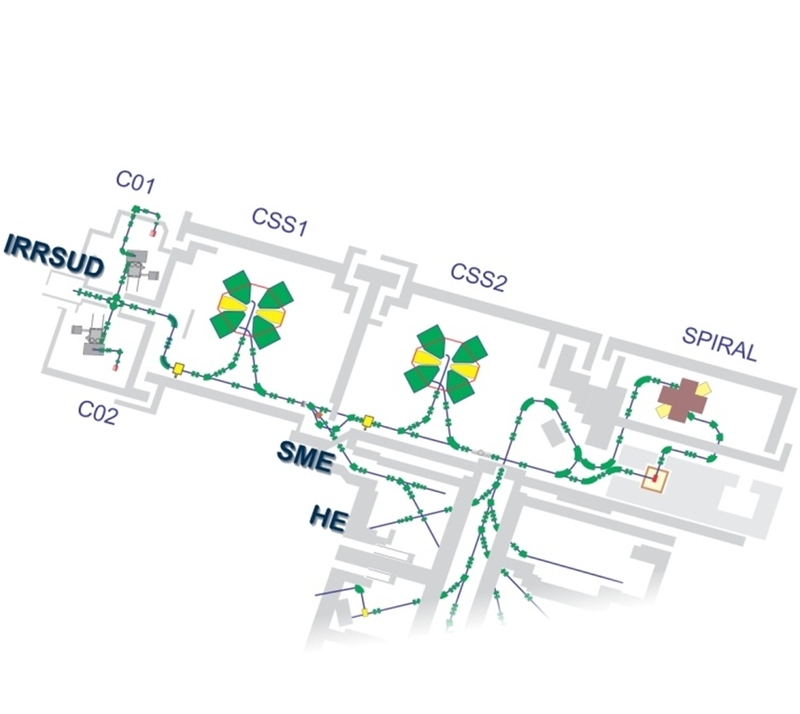 The cave D1, managed by CIRIL, receives ion beams accelerated by CSS1 cyclotron for the medium-energy beams and by CSS2 cyclotron for the high-energy-ion beams. The D1 cave is equipped by three beam lines. The principle of the medium energy beam is the following : after the CSS1 cyclotron, the charge state of the ion is increased by a thin Carbone stripper foil. 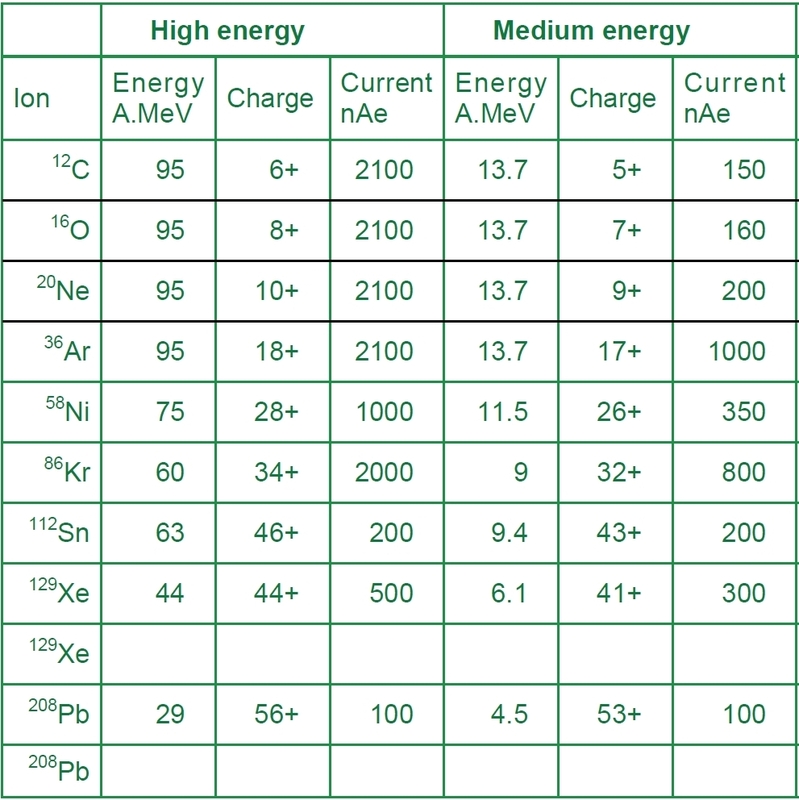 This stripping induces a charge state distribution. 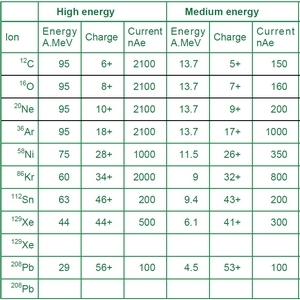 One of these charge states is injected in the next cyclotron while a lower charge state can be injected in the cave D1. Thus the interdisciplinary research benefits from typically 3000 hours of “unused” ions, with some constraints due to the fact that the ion-type and the time structure of the beam is imposed by the high-energy experiments.